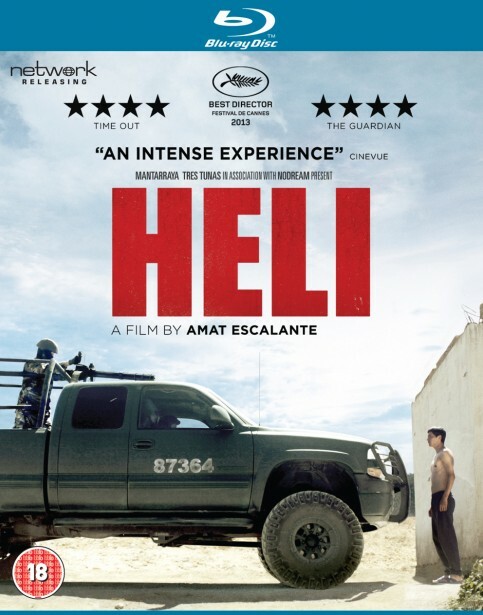 Heli lives a simple existence in a small house with his father, wife, baby son and 12 year old sister, Estela. When Estela's boyfriend, a young cadet, seeks to change their lives by stealing confiscated cocaine, Heli and his family are caught up in the murderous world of Mexico's drug cartels and the corrupt police they control. In his third film exploring modern Mexican society, Cannes award-winning director Amat Escalante looks unflinchingly at the country's escalating drug wars and their devastating impact on one fictional family. Heli is uncompromising and graphic in its depiction of the sadistic violence, corruption and climate of fear in which the region's people must go about their daily lives. Stark, shocking and beautifully photographed, this powerfully affecting film has received worldwide critical acclaim. The Making of Heli – Made by director Amat Escalante's brother Martin, this is a beautifully constructed behind-the-scenes look at the making of Heli. With on-set footage and interviews with cast and crew it offers a unique insight into this intense and affecting film.